Miami has a few beautiful gardens that offer free admission year-round. Plus, some of the larger gardens offer free admission on certain days each year. Be sure to check the garden web site for the latest information, as this information is subject to change. If you are traveling around Miami on a budget, we've got you covered. 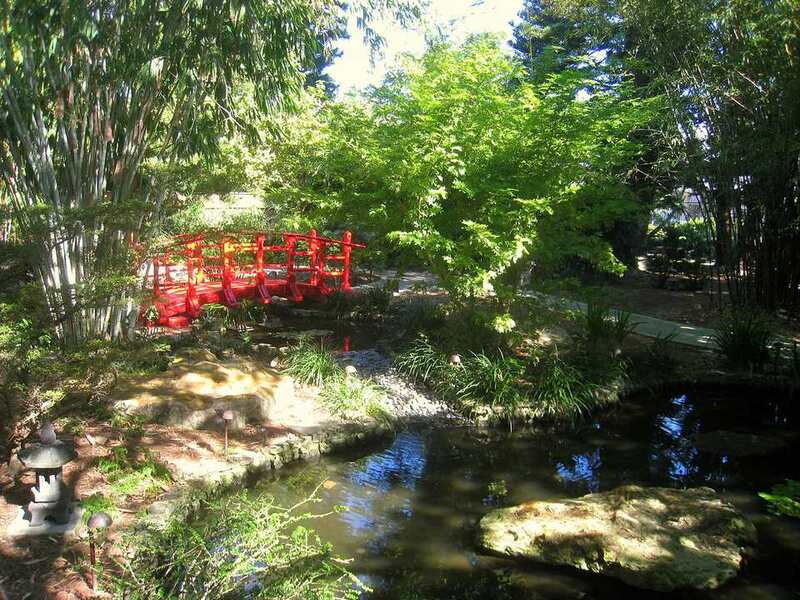 Ichimura Miami Japanese Garden: This small garden located on Watson Island features a pagoda, koi pond, and rock garden. Open daily. Miami Beach Botanical Garden: Don't miss this quiet and lovely 4 1/2 acres in the heart of South Beach. The Garden features a variety of plants including orchids, bromeliads, and a huge collection of subtropical palms. Check their web site for a variety of free annual events held there. Closed on Mondays. Pinecrest Gardens: Located on the former site of Parrot Jungle, Pinecrest Gardens is a delightful respite for many local families and visitors as well. Featuring huge banyan trees and lush vegetation, it is a great place to let kids loose to play while you enjoy the landscapes. Open daily. Crandon Park Gardens: The original site of MetroZoo, Crandon Park Gardens is made up of over 200 acres of lush vegetation and lakes. The variety of birds living here is mind-boggling. And this gorgeous place is a well-kept secret even among most locals. There is $5 fee for parking at Crandon Park & Beach. Fairchild Tropical Botanic Garden: This amazing garden is dedicated to explaining and conserving the world of tropical plants. They usually offer free admission on certain days each year. Vizcaya Museum and Gardens: Vizcaya is considered one of the biggest must-see attractions for visitors to Miami. The gardens are not to be missed. In the past, they have been known to offer free admission on Sundays in the summer. Keep an eye out in case they offer it again this year.